A colonial gutter that is ideal for both traditional and contemporary homes. With its high water carrying capacity the product is also available in G300 soft feed. Full range of accessories available in matching Colorbond® Steel colours as well as stop ends, brackets and over straps. It is important to remember that we recommend all gutters slope towards the outlets (a minimum gutter fall of 1 in 500 is recommended). Without this slope, “ponding” may occur, reducing the life of your gutter. Available in Zincalume® steel, Colorbond® Steel & Heritage Galvanised Z600 to match or contrast your roof. Compatible with either steel or timber fascia systems. The 125mm OG Gutter is compatible with the Revolution OG 125mm Internal Bracket and 125mm External Brackets. 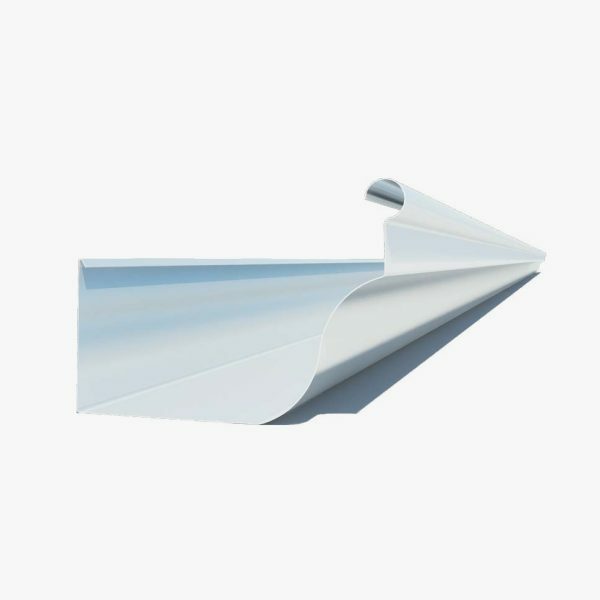 Traditional 125mm full sized OG Gutter, made from .55 G300 ‘soft feed. Cross sectional area of 7,420mm2. Available for re-guttering and new homes. Available in customised lengths to suit any project for fast and easy installation.